At ProBiora Health™, we’re focused on changing the way people think about the benefits of oral health through probiotics, because the benefits of a healthy mouth impacts more than just teeth and gums. Recent research indicates it can have beneficial long-term effects on overall health as well. That’s why we rely on our Dental Professional Advisory Council, composed of a full range of top dental professionals with outstanding reputations and credentials, to advise us on our full line of products with all-natural probiotics and to help ensure we deliver the highest quality oral care products possible. Dr. Handfield co-founded iviGene Corporation. He served as a Vice President of Research & Development at Oragenics Inc. from January 2009 to January 1, 2015. Dr. Handfield served as Director of Research & Development of Oragenics Inc., since January 2009 and also served as its Vice President of Research, having worked side by side with Dr. Hillman in the development and commercialization of our products. He is also a co-inventor of IVIAT and the A.a. and P.g. technology. He serves as Director of EpiCure Solutions Corporation (Florida). Dr. Handfield serves on the iviGene Scientific Advisory Board. He served as member of Scientific Advisory Board of GeneEx, Inc. He serves as an Assistant Professor at the University of Florida College of Dentistry. He served as faculty member at the Center for Molecular Microbiology and Department of Oral Biology, University of Florida. He is a distinguished young researcher with a number of honors and awards, including a Ph.D. Scholar Award from the Canadian Cystic Fibrosis Foundation. He has published several scientific papers and reviews and his laboratory is funded by three National Institutes of Health Grants. Dr. Handfield received his B.Sc. (Biochemistry), M.Sc. (Microbiology) and Ph.D. (Molecular Pathogenesis) at Laval University (Canada). Dr. Wilkerson is a graduate of the University of Florida, College of Dentistry in 1982, the same year he joined the Dawson Private Practice Group in St. Petersburg, FL. Past Associate Faculty and Special Lecturer of the L.D. Pankey Institute. At the Dawson Academy, he has led 600 days of lectures and hands-on instruction. He and his wife, Pat, have been married for 37 years and are the proud parents of Todd, Whitney and Ryan. He has a beautiful three-year-old granddaughter named Carolina. As a family, the Wilkerson’s enjoy sports and travel. They have participated in many dental missions to faraway places, including Romania, Kenya and Nicaragua. Mark L. Cannon received his Doctorate of Dental Surgery from the University of Nebraska and then attended Northwestern University for his Masters of Pediatric Dentistry. He completed his residency at Children’s Memorial Hospital and received his Diplomate status by the American Board of Pediatric Dentistry. He is a past president of the Illinois Society of Dentistry for Children, a Professor of Otolaryngology, Division of Dentistry at Northwestern University, Feinberg School of Medicine, and a member of the International Association of Pediatric Dentistry. In addition to maintaining a large private practice in the suburbs of Chicago, he is the Research Coordinator of the residency program at Ann and Robert Lurie Children’s Hospital, Chicago, Illinois. Dr. Cannon has presented guest lectures at the University of Athens, Greece, Sao Paulista State University, UNESP, Aracatuba, Brazil, University of Texas- Houston, University of Alabama-Birmingham, and at the University of Illinois, Chicago, Department of Pediatric Dentistry. He has had presentations to the following organizations; I.A.D.R./A.A.D.R., the American Academy of Pediatric Dentistry, the American Society of Dentistry for Children, Academy of Dental Materials, World Congress of Biological Materials, International Association of Pediatric Dentistry, Pediatric Dental Association of Asia, Australasian Academy of Pediatric Dentistry, World Congress of Preventive Dentistry, Mexican Association of Pediatric Dentistry and the European Association of Pediatric Dentistry. Patti received her Dental Hygiene Degree from Western Kentucky University in 1972. After practicing for 25 years as a periodontal therapist, she founded Dental Hygiene Excellence (DHE) in 1997, a dental coaching company. Patti is a member of ADHA, ODHA, CDHA, a founding member of The American Academy for Oral Systemic Health and a Preceptor for the Bale/Doneen Method for heart attack and stroke prevention. As a managing partner of the Heart Attack and Stroke Prevention Center of Central Ohio, her passion for dentistry and medicine keeps pace with the always-changing oral systemic movement to improve prevention and wellness. Karen Davis is founder of her own continuing education company, Cutting Edge Concepts, and currently practices dental hygiene in Dallas, Texas. Her background as a clinician, consultant, and speaker enable her to identify with challenges facing dentistry and offer innovative solutions vital to success in today’s marketplace. Dentistry Today recognizes Karen as a Leader in Continuing Education. Karen received her Bachelor of Science in Dental Hygiene from Midwestern State University. She is an accomplished author, maintains memberships in numerous professional associations, is a key opinion leader to dental corporations, and serves on several advisory boards. Karen is a native of Texas, happily married, and is a proud Mom and Step-mom to three adult children. 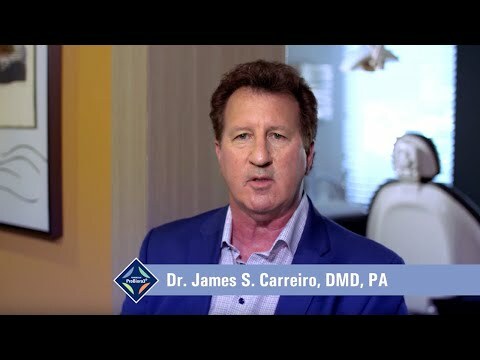 Dr. Carreiro is a highly-respected and highly-skilled dentist in Largo, FL, who has been practicing for more than 20 years. He specializes in preventative and minimally invasive dentistry with an emphasis on modern laser techniques. He uses his vast experience and knowledge to create healthy, beautiful smiles for patients of all ages. He is a graduate of Fordham University, where he earned a Bachelor of Science, and of Boston University, where he received his Doctor of Dental Medicine. He is one of the few dentists in the Clearwater area to offer laser dentistry services and has been utilizing laser techniques since 2007 at his Largo, FL, practice. Dr. Carreiro has certifications from the World Clinical Laser Institute, as well as the Academy of Laser Dentistry, and has earned the title of Fellow at both. He is a former BIOLASE clinical laser instructor at the University of Florida and has achieved advanced proficiency with BIOLASE. His professional affiliations include the American Dental Association, Florida Dental Association, West Coast Dental Associations, Academy of Laser Dentistry and the World Clinical Laser Institute. 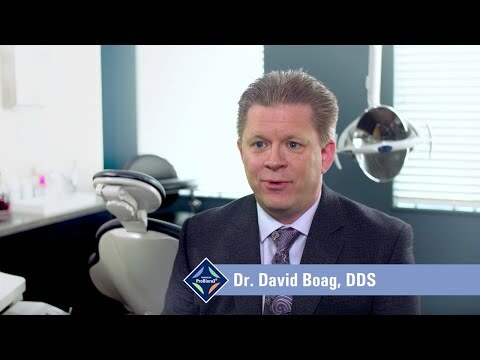 Dr. David Boag is a Detroit native, who spent his childhood in Ferndale, Michigan. He received his Bachelor of Science in Letters and Dentistry from Calvin College in Grand Rapids, MI. He received extensive post-graduate training in general practice dentistry as well as in oral and maxillofacial surgery at Long Island Jewish Medical Center in New York, LSU Medical Center, Virginia Commonwealth University, as well as at Medical College of Georgia School of Dentistry, before going into private practice in general dentistry in Peachtree City, GA. He has been in private practice there since 2003, and also travels to do surgical procedures for other dentists and facilities. His practice has found great success in the non-surgical treatment of periodontal disease after incorporating ozone treatment into his repertoire. He enjoys changing lives through comprehensive and cosmetic dentistry. He has been married for over 25 years to his wife, Sherri, and has three children. They have resided in Fayetteville, GA, since 1999. When not doing dentistry, he enjoys coaching youth soccer and also announces for Whitewater High School girls’ lacrosse games. He has been a volunteer for youth recreational summer swimming teams for the last 12 years. He is a dedicated member of the First Baptist Church, Peachtree City, and has taught Sunday School for several years. Dr. Samaha describes ProBioraPo as her "finishing touch". Dr. Samaha has extensive training in the field of integrative medicine, with special focus on advanced medical and genetic testing and nutritional physiology, to help achieve true preventive medicine and healing. After observing a significant disconnect between the scientific research and its application in a clinical setting, Dr. Samaha founded the AGD/PACE-approved Perio Arts Institute and began teaching PerioPassion Dental Seminars in 2007. In her seminars, she shares her evidence-based, multi-faceted, and leading-edge clinical protocol for the diagnosis and non-surgical treatment of periodontal disease. Dynamic case studies are also included in her seminar. Her multi-faceted approach has enabled her to help general dentists, periodontists, and their dental teams’ transition to true, wellness-oriented practitioners of dental medicine. As a professional fine artist and writer, Dr. Samaha also enjoys infusing her unique practice with a powerful and creative flair. She has successfully branded her practice as a true wellness-focused destination for healing and has developed products that allow patients to continue their holistic healing. Known for her enthusiastic and inspiring messages to medical and dental audiences worldwide, she is in great demand as a lecturer, writer and consultant.